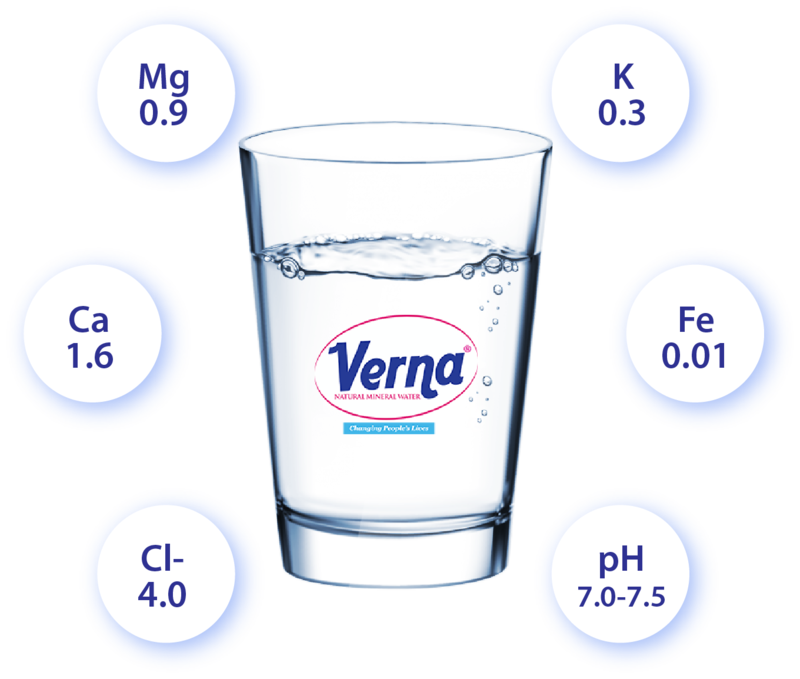 Verna Natural Mineral Water is also in 330ml, 500ml and 1.5litre bottles. source. All products go through purification and filtration system to remove all particles and materials to make the products wholesome. The body is composed of 60% to 70% water, depending on the morphology. Water is essential to the proper functioning of the body. After oxygen, water is the most important element for life. This water is essential to all life processes. The fluids cover almost all areas of our body, both inside cells and out. It is present in all your cells, your tissues and organs. Now, each day, your body eliminates about 2 and a half liters of water, even if it is hot or when you exercise. This is why it is important to stay hydrated throughout the day!